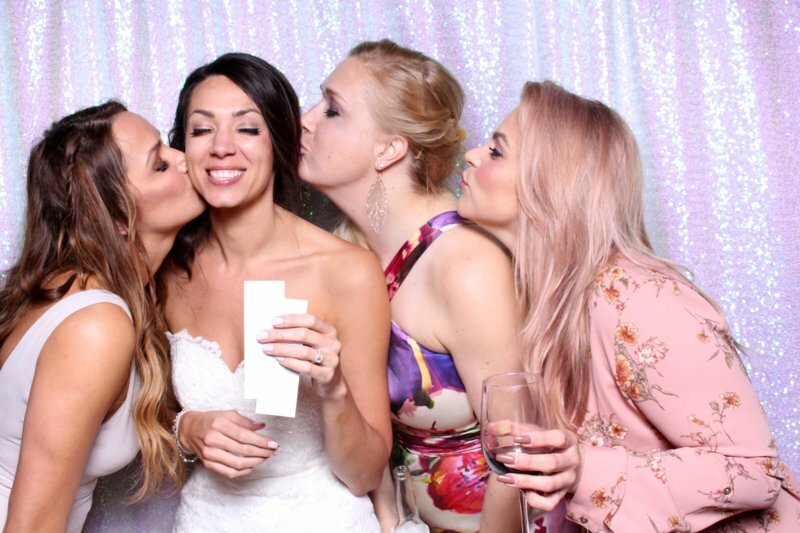 Thousands of brides choose the Viral Booth photo booth for weddings because it creates the perfect entertainment for wedding guests of all ages. Unlimited prints - everyone in the photo gets a picture! 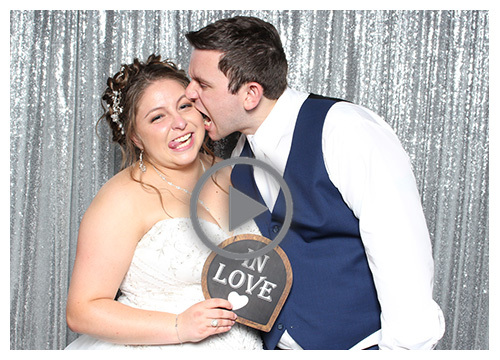 Plus, lots of other features that make it the perfect photo booth for weddings. Check it all out below! Or, click the button to get your quick quote. 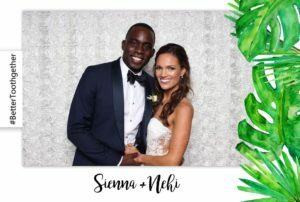 The Viral Booth photo booth for weddings package is an experience that you'll be proud to have at your reception. 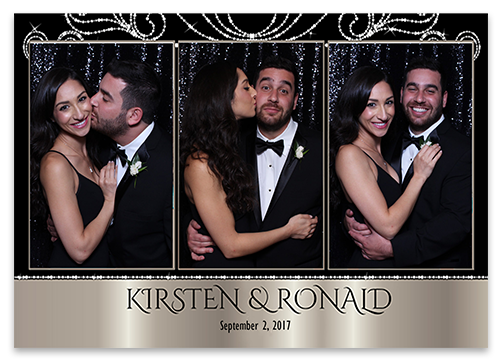 The sleek, black open air photo booth comes with a premium backdrop that you can choose to match your reception colors. 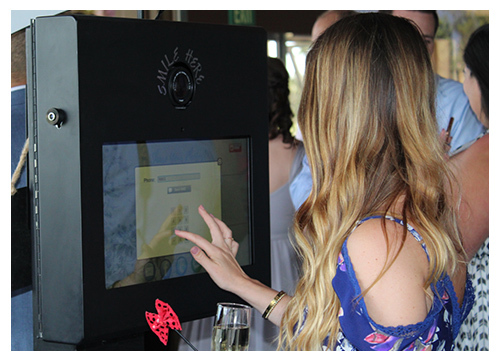 The photo booth kiosk features an interactive touch screen that is extremely user friendly. 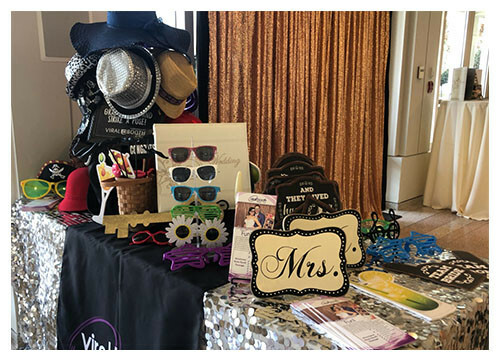 Your booth host shows guests how to take photos and animated GIFs, and then helps them print or share their photos through text or social media right from the screen that took their picture. More than a dozen people jumped into the picture? Awesome! Everyone gets a print right away. The booth is even perfect for grandma and grandpa, who can walk or wheel easily into the booth to enjoy the fun. 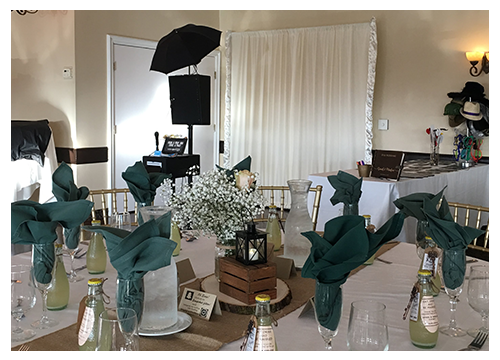 The sleek open booth transforms your wedding reception into a spectacular extravaganza. Customize your booth with our line of beautiful backdrops. 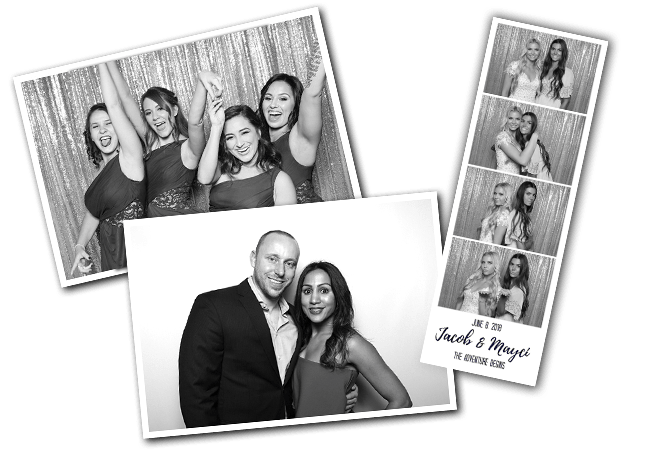 Use the photo booth endlessly and take home unlimited color pics from our top-of-the line printer. Plus, choose your 2×6 photo strip layout and customize a gorgeous design for your prints. 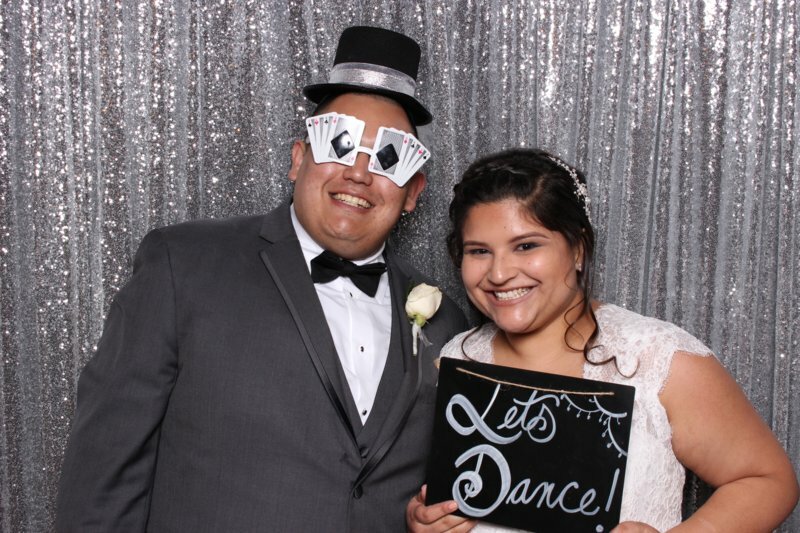 Wedding photo booth rental packages feature wedding props and our high-quality, squeaky clean hats, glasses, mustaches and more. Have a special theme? We’ll make it happen for you (extra fees may apply). All your silly poses look amazing in animated Gifs that everyone can text and share right from the booth! Instantly upload to FACEBOOK, TWITTER, TEXT & EMAIL right from the touchscreen that snapped your pose. 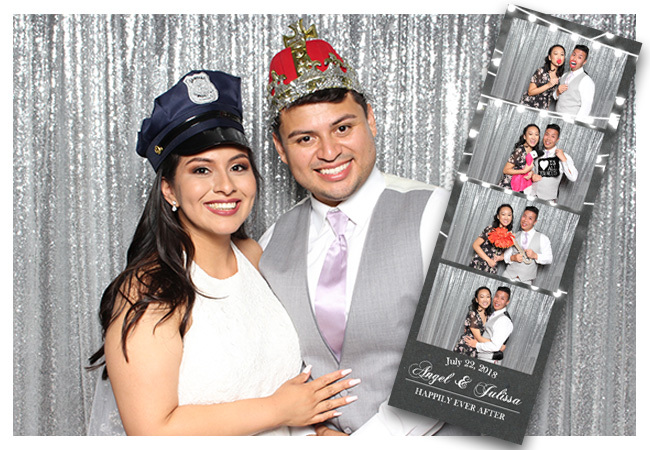 FREE with your wedding photo booth rental is a gorgeous, 20-page scrapbook to hold guests’ pics and messages. Your booth prints pictures for your book and your host puts the whole thing together and hand delivers it to you. 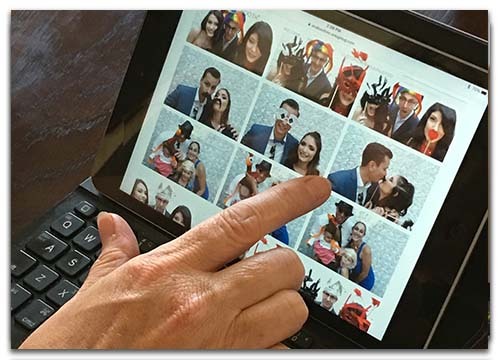 Hold all of your wedding photo booth pictures in a secure place in your online gallery. We'll send you a link to this beautiful keepsake following your wedding. 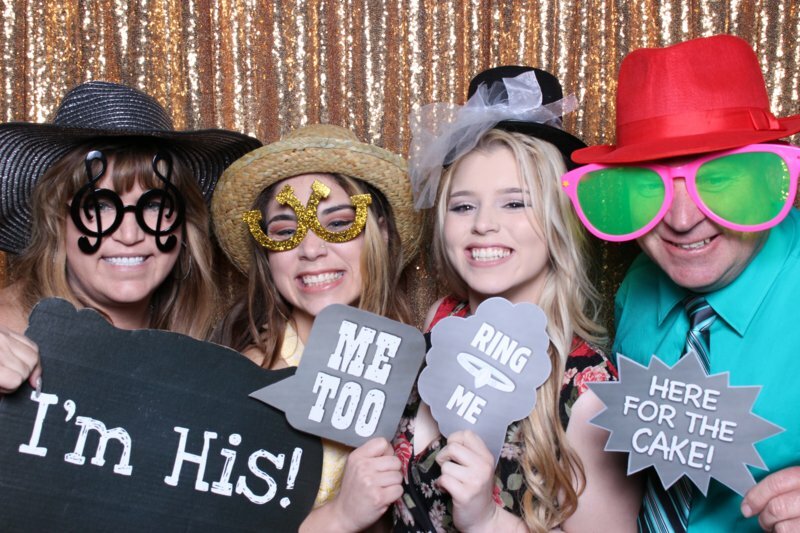 Custom wedding photo booth rental packages are also available. 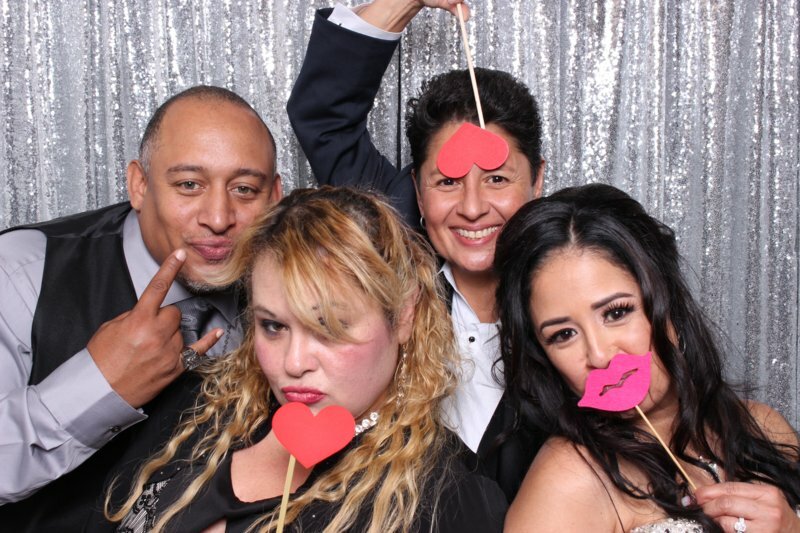 Ask us for details when you request your photo booth price. 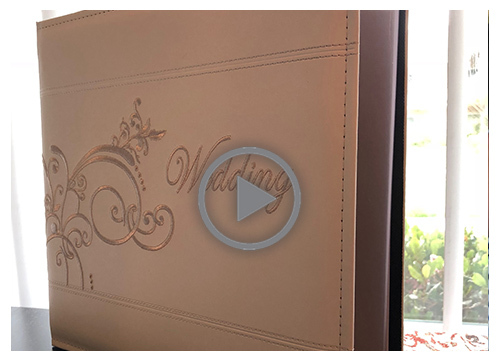 Instead of signatures from your guests, ask them to record a heartfelt message for you with the Wedding Video Guest Book. 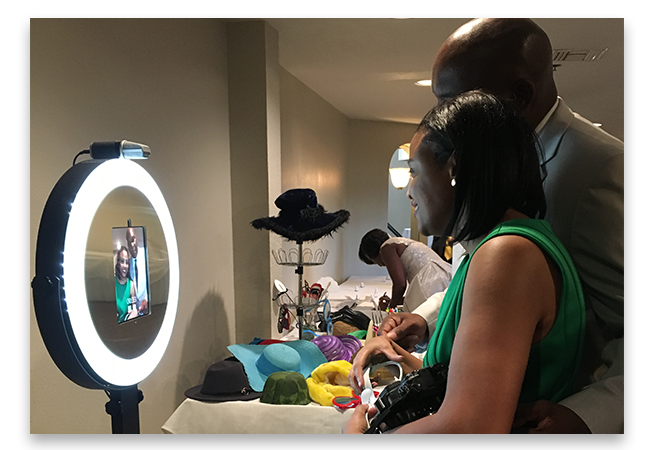 The elegant kiosk fits fit anywhere at your reception and the bright and fun screen encourages your guests to leave messages for you. Guests just touch the screen to create 15 to 60 second videos. Messages pile up throughout your reception and upload to a private online gallery. You can watch them right after your celebration. Everyone can also email and post videos to Facebook for you. 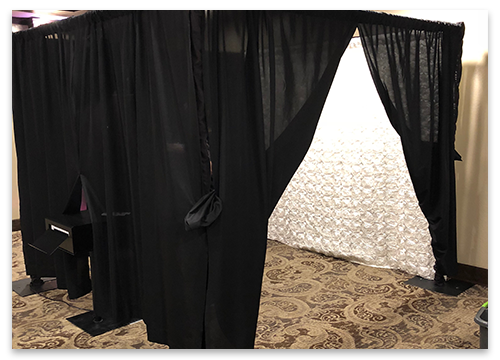 The closed photo booth for weddings is a 7 x 7 pipe and drape structure that offers your guests privacy while they are in the photo booth. 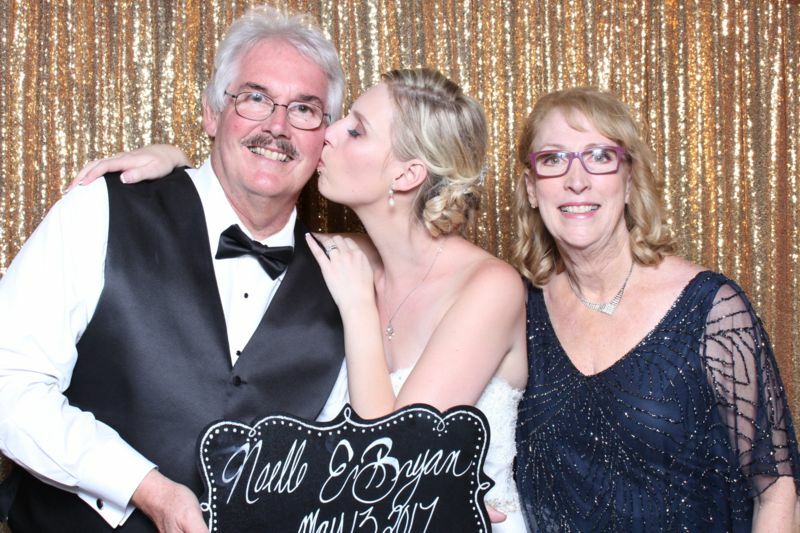 Upgrade to the 4 x 6 photo and give your guests a gorgeous keepsake photo. 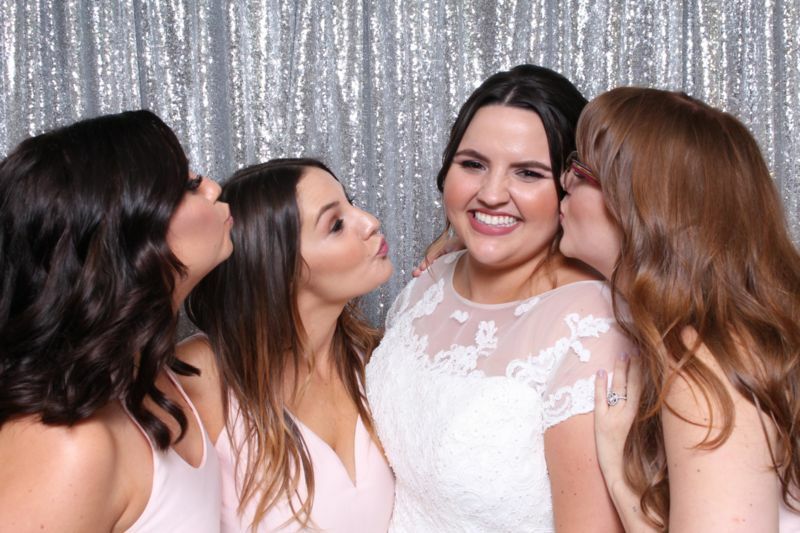 1, 2, 3 and 4 photo options available. 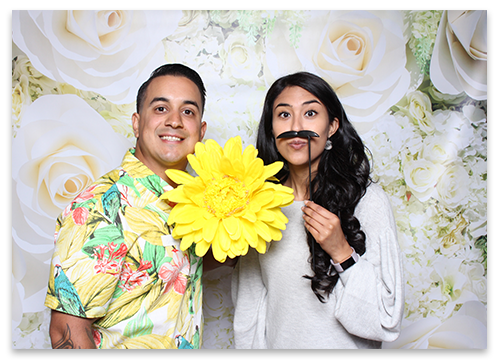 Add an extra special touch to your reception with a custom printed backdrop. Create your own design or ask us about our gorgeous options. Black and white photos are a glamorous addition to your experience. Add black and white photos or the whole black and white booth experience. 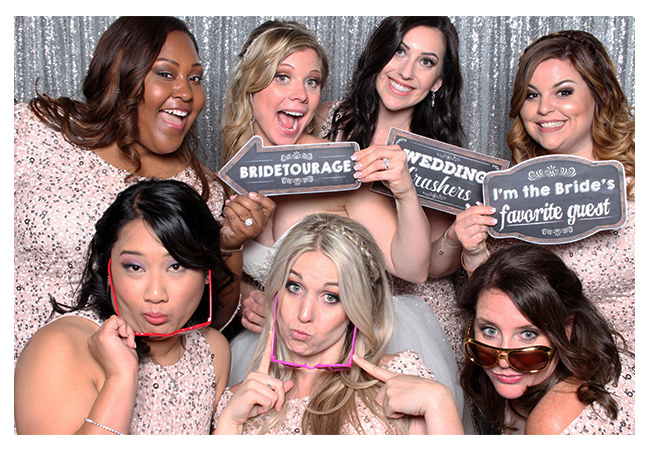 We're thrilled that the Viral Booth was part of Angel and Julissa's wedding day. 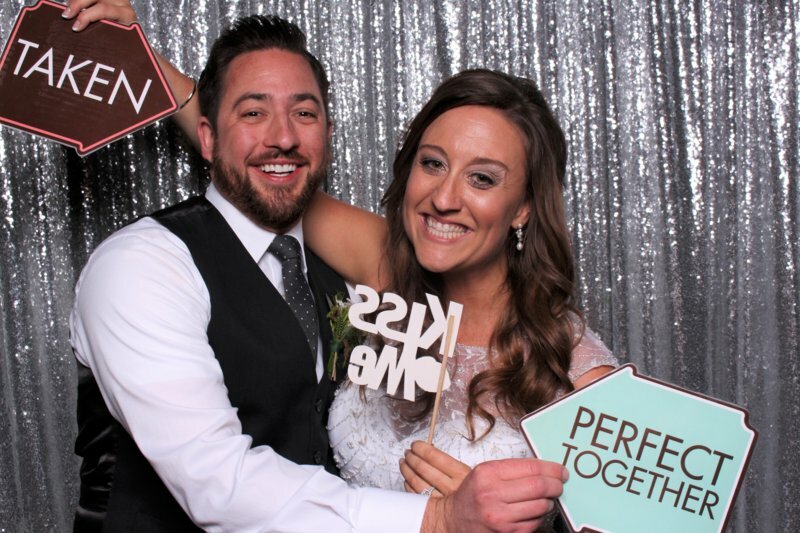 The couple chose the shimmering "Lights" photo strip with space for 4 photos of guests. 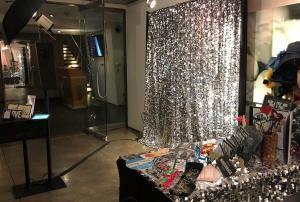 The silver sequin backdrop was a perfect match for their wedding colors and also the photo strip design. 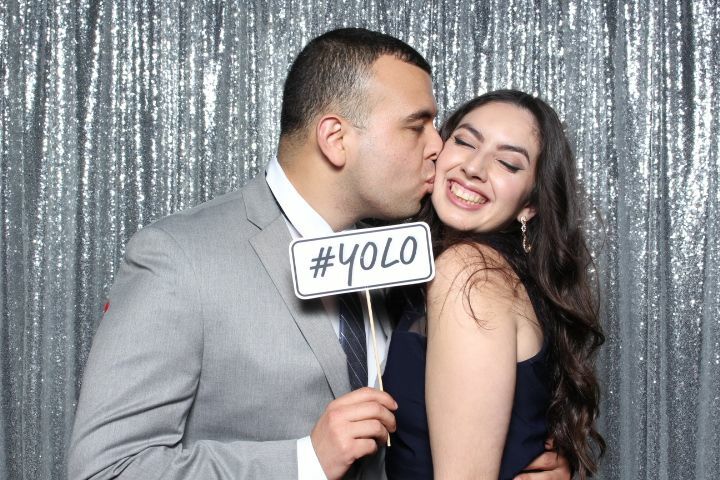 Angel and Julissa's wedding was a gorgeous celebration at the new Wedgewood Weddings University Club in Irvine. 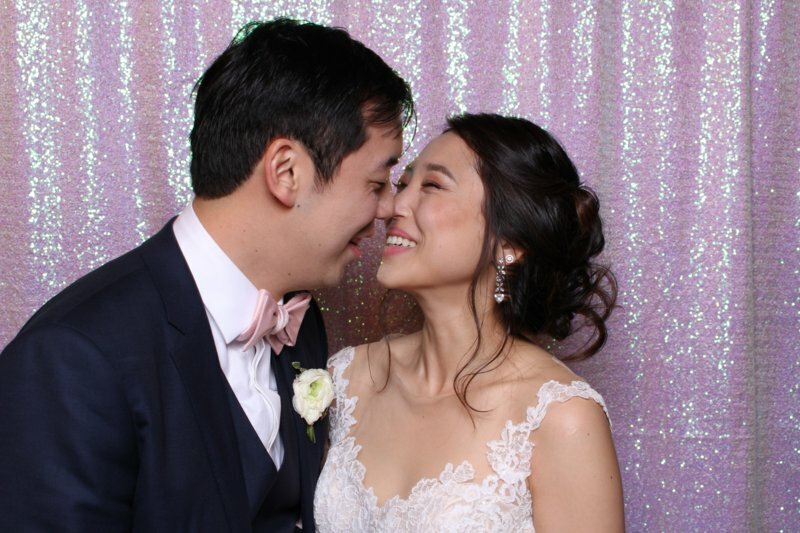 The ceremony took place in the garden courtyard and then guests enjoyed eating, drinking and dancing in the luxurious ballroom. 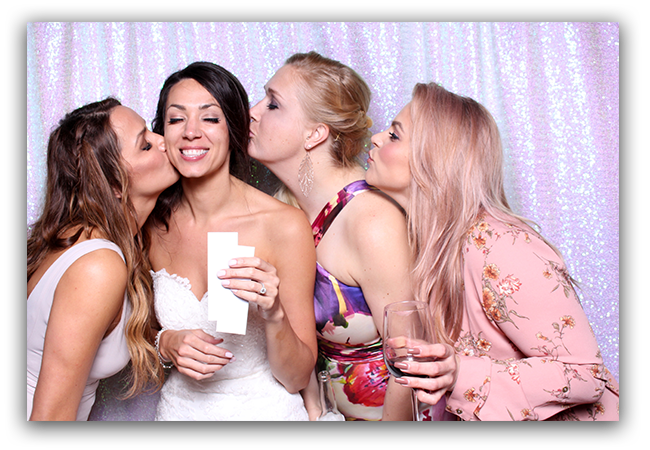 Set in the lobby where all the guests could easily access it, the photo booth was busy all night! 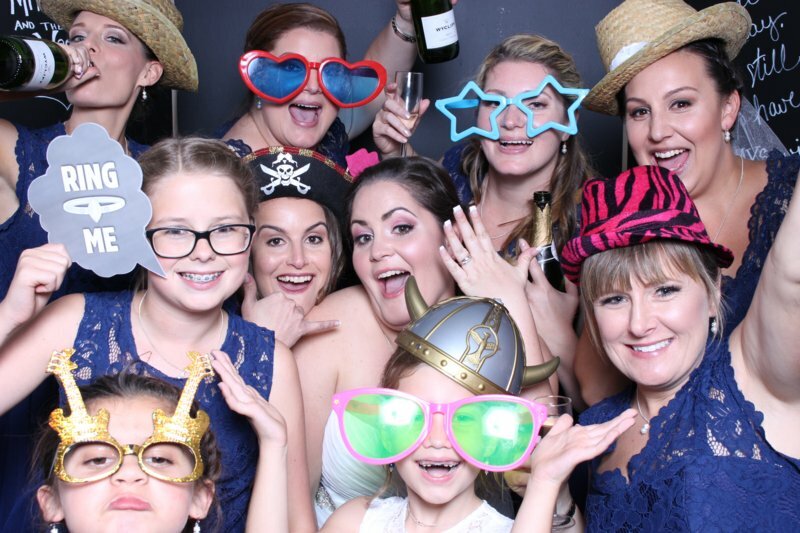 Everyone from children to older adults had a ball in the booth posing for hilarious pictures with dozens of fun photo booth props. 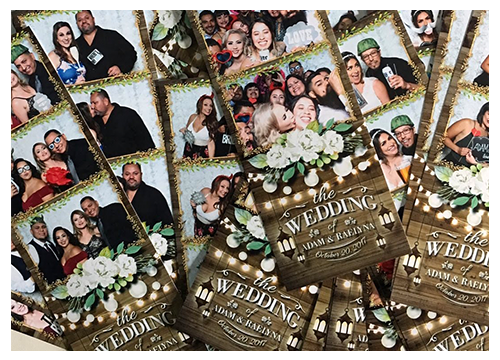 Guests received extra copies of their photo strips to include in the couple's scrapbook. The book was filled with beautiful photo strips and notes from loved ones.